Our mission is to help bring back cannabinoids. We have deprived our endocannabinoid system of CBD for decades. We take a holistic and botanical approach with our well-being. Our CBD product line is a start. Dozens of collective years in the medical cannabis industry affords us vast knowledge of how cannabinoids react in your body. We’ve been cultivating, formulating and administrating CBD longer than most of our “competitors”. Thus, allowing us to take a therapeutic approach in every CBD product we offer. Being involved in the medical cannabis community has given us the privilege of supporting people with ailments from cancer, chronic pain, sleep deprivation to epilepsy. We believe in medicinal CBD products, we’ve witnessed CBD work first- hand countless times. Our reputation and testimonials speak for themselves. Integrity, transparency and experience are the foundation of Casco Bay Hemp. All of our hemp products fall below the .3% federal limit for Tetrahydrocannabinol (THC). Rigorous 3rd party testing is executed throughout the cultivation and formulation process. All hemp crops used in our products are held to organic standards from seed to extraction. Our team of farmers, hemp extraction facilities and product innovators define our CBD products. Our product line contains the purest CBD rich full spectrum crude, distillate and isolate. You will enjoy our line and be proud of the purchase knowing you’re helping yourself achieve optimal health while supporting a small U.S. based company. Testing: All Casco Bay Hemp’s line of products are third party lab tested by an ISO certified lab for consistency and safety. We test our batches of hemp oil and upload results to our website for full transparency. Not only do we test cannabinoid and terpene profiles, but also mold, pesticides, heavy metals, microbials, herbicides and residual solvents. AnswerCannabidiol (CBD) is a compound found in the hemp plant that has significant medical benefits, but does not make people feel “stoned” and can actually counteract the psychoactivity of THC. 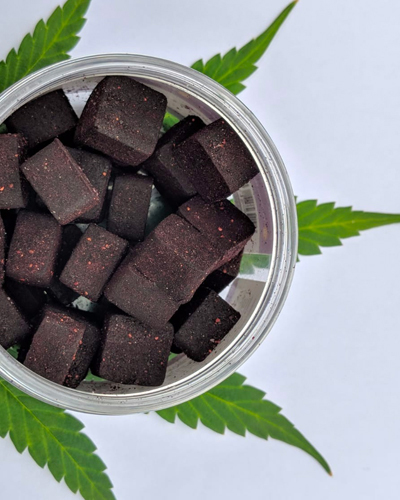 The fact that CBD-rich hemp is non-psychoactive makes it an appealing option for patients looking for relief from inflammation, pain, anxiety, psychosis, seizures, spasms, and other conditions without disconcerting feelings of lethargy or dysphoria. Question What is an Endocannabinoid System (ECS)? AnswerWe have cannabinoids in our makeup. CBD, THC, CBN, CBG etc.. and they all work in maintaining our bodies health through the CB1 and CB2 receptors. These ECS receptors are used on cells throughout the body to accept cannabinoids, like CBD. The endocannabinoid systems primary job is to maintain homeostasis, or a natural balance in our bodies as they react and adapt to changes by which neurotransmitters bind to these cannabinoid receptors, and cannabinoid receptor proteins that are expressed throughout the central nervous system (including the brain) and peripheral nervous system. The ECS considered to regulate just about everything in our bodies and wasn’t discovered until 1992 at the Hebrew University in Jerusalem by Dr. Lumir Hanus along with American researcher Dr. William Devane. Whether or not the body is able to adjust to changes and effectively maintain homeostasis directly impacts the likelihood that a disease will develop. Shown to have extensive influence over homeostasis, the endocannabinoid system is responsible for regulating the biochemistry related to an array of processes. Pain management, immune response, appetite, energy regulation, mood, and memory are just some of the functions that are managed by the endocannabinoid system. Hemp contains elevated levels of Cannabidiol (CBD), an active phytocannabinoid that works synergistically with other secondary phytocannabinoids and compounds like terpenes and flavonoids, this is why CBD oil works so well in so many ailments. Question What are the benefits of CBD Oil? AnswerFull spectrum CBD oil, and isolated Cannabidiol, have many healing qualities including treatment of chronic pain, mood stabilizer, seizure control and sleep deprivation. Cannabinoids, terpenes, fats, proteins lipids, nutrients and compounds found in the hemp plant work together within the human body to maintain balance (homeostasis). Question Is CBD from hemp legal? AnswerYes – CBD products made from hemp that contain under 0.3% THC are legal in the United States. The federal farm bill has added even more protections. CBD is readily obtainable in most parts of the United States with all 50 states having laws legalizing CBD with varying degrees of restriction. In December 2015, the FDA eased the regulatory requirements to allow researchers to conduct CBD trials. Currently, many people obtain CBD online without a medical cannabis license. The legality of CBD is expected to change dramatically for the good, as there is currently bipartisan consensus in Congress to make the hemp crop legal which would, for all intents and purposes, make CBD difficult to prohibit.